Coaching sessions and programs are more successful when there are clear coaching goals and actions planned are documented. These developmental actions and activities should be reviewed and updated on a regular basis. This helps both the coach and the person being coached to maintain a focus on the outcomes they are trying to work towards achieving. 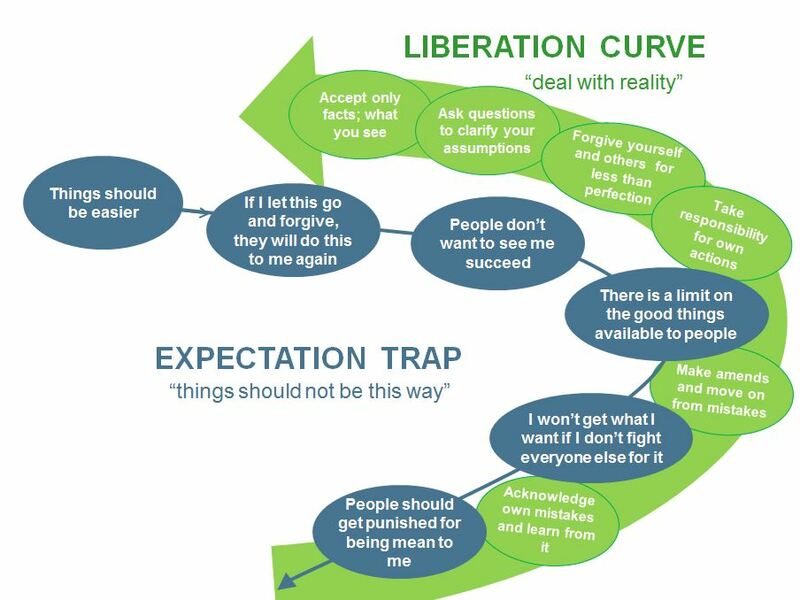 When coaches or those being coached approached me in the past with reservations about a failing coaching relationship I often discovered that they never kept any notes or documents which detailed the overall goals to be achieved or the agreed path forward (actions and activities to be completed before the next session). When I provided them with the Preparation for Coaching worksheet they mostly reported having an improved sense of progress and achievement in the coaching process. Many employees who are new to coaching have misguided expectations about the coaching process and their own role in it. They expect the coach would show up at each session ready to provide them with useful information and advice and all they needed to do was to show up. In reality the coaching process works much better when both parties actively participate and prepare for each session. This process graphic shows that each party in the coaching process provides input and participates in the process. The results are written down and shared to ensure a common understanding of the goals and that progress towards goal achievement is maintained. For those being coached: make sure you get your completed preparation sheet to your coach at least a few days before the session so that the coach can take your feedback into account. This helps him or her prepare to answer your questions and obtain any additional information and resources that may be useful to you at this time and bring it to the session. For coaches: take note of the questions and struggles that may be noted in the preparation sheet. 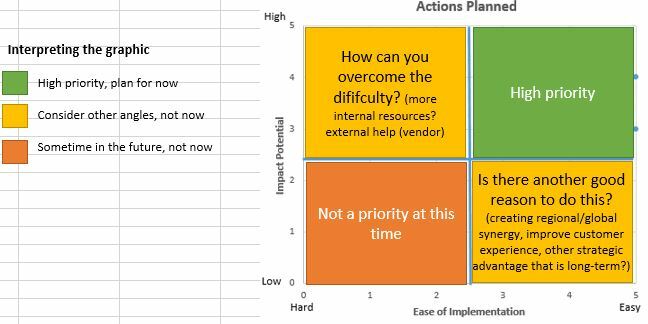 Consider how you can best help address those issues and which resources can you provide to help in the process? 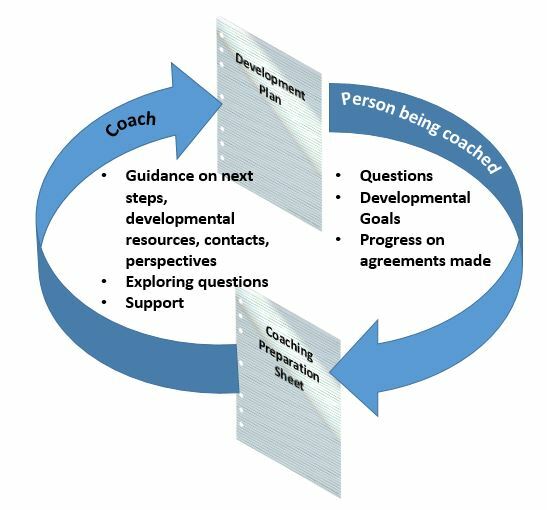 What is the best way to approach the coaching session – given those questions, issues and of course the overall goals that had been set for the coaching process? Do remember to look back at previous preparation sheets and also the updated development plan on occasion (maybe once every 6 months) to recognize and appreciate progress made to date and to help motivate those being coached to take the next steps that may be required towards ultimate goal achievement.